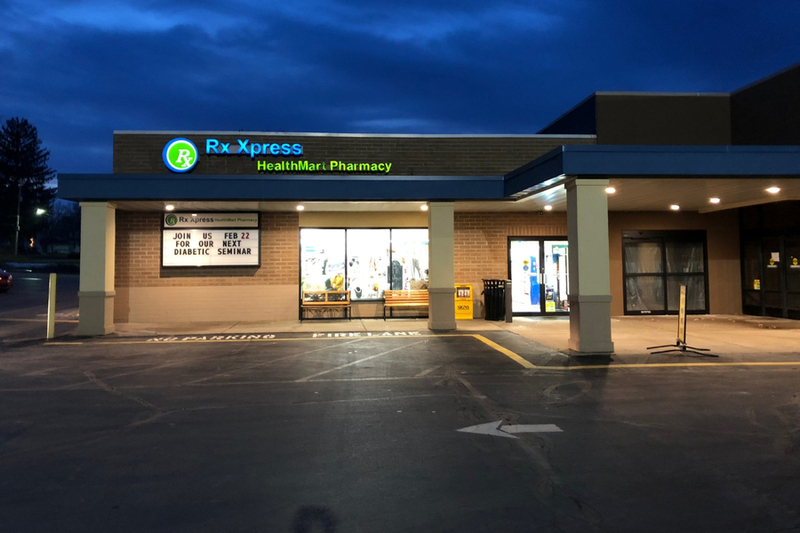 At RX Xpress Pharmacy our main focus is serving our Grove City community. We do more than just fill your prescriptions, here you’ll find exceptional, personalized and quality care, expert support and the attention you need to manage your health. Our pharmacists know there's nothing more important than you and your family's well-being. Therefore, we take the time to get to know you, explain your medications, and answer any questions you may have. Along with prescriptions, we are dedicated to providing our community with quality home medical equipment such as walking aids, wheelchairs, diabetic testing supplies and medical supplies. We honor nearly all prescription drug insurance plans, including Medicare Part D, with the same co-pay as national chain pharmacies. We make it easy for you to transfer your prescriptions to our Health Mart store, and will work with you to ensure you don't miss a beat with your prescription drug insurance claims. If pre-approval is required for your prescriptions, we’ll work with you and your prescription drug insurance plan to help you get the coverage you need. If you are looking for personal attention from a healthcare professional you can trust, RX Xpress is the drugstore for you. Visit us today to learn more about how we can assist you with your healthcare needs! Join our Rewards Program, it’s free, and receive exclusive promotions, special offers, and of course rewards, designed for our valued customers. They've always been good to me. The place is really looking good. It's always nice to see folks taking pride in ownership. Such great, thoughtful customer service. You always get so much more than you get at big box pharmacies! We have always been given time to discuss any concerns about medicine or needs. Great customer service whether at the pharmacy or just buying a card. Love this pharmacy! They treat you like family , go above and beyond for you, and really care about the people they serve! Thank you Rx Express family!